BARRON, Linda Jo- age 73 of Lebanon passed away Saturday March 30, 2019. She is preceded in death by her parents, Calvin C. Granger & Edna Taylor Granger; 2 sisters & 3 brothers. Survived by her husband of 55 years, Dwight James Barron; son, Dwight James (Sandra) Barron II; daughters, Crystal (Thomas) McNew & Shellie Don Barron; grandchildren, Tiffany Fox, Elizabeth Usmiller, Gabrielle Dowell, Morgan Miller & Colby Marshall; great grandchildren, Gibson Fox, Dean Fox, Emma Grace Usmiller, Gavin Roecker, & Hunter Dowell; numerous nephews, nieces, and other loving family & friends. 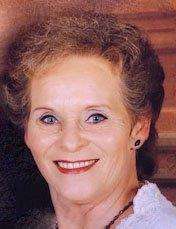 Linda Jo was a member of St. Frances Cabrini Catholic Church in Lebanon, Tn. She and her husband owned a shop known as Tennessee Granny's & Paw Paw's in Gatlinburg, Tn. Visitation will be held on Wednesday April 3rd 2-4 p.m. in the Partlow Funeral Chapel. Funeral Service will follow at 4:00 p.m. Interment, Cedar Grove Cemetery. Her family will serve as active pallbearers, PARTLOW FUNERAL CHAPEL(615) 444-7007 OBITUARY LINE (615) 444-7700.